The CEIA Field Tester System is a system designed to assess the performance of an Enhanced Metal Detector (EMD) at the time and place of installation and at user-defined maintenance intervals. 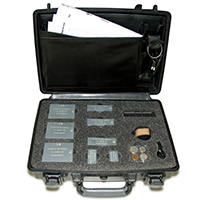 The Field Tester has a built in electronics that allows the use as a stand-alone system. 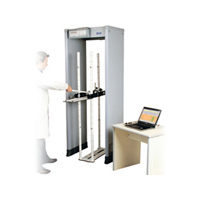 CEIA provides Authorities with manufacturer certified Reference Test Samples reproducing for shape, material and signal on Walk-Through Metal Detectors the same effect of the real targets.